Graze offers a wide range of food snacks. Credit: © Unilever. Unilever has acquired the holding company of Graze, a UK-based snack brand that was set up in 2008 as a snack box delivery service. According to various media reports, Unilever has paid £150m ($193m) to acquire the brand. Graze currently offers a wide range of food snacks including snacking nuts, seeds, trail mixes and snack bars that are claimed to be free from artificial ingredients. Its products are available via retail stores, ecommerce and direct to consumer. 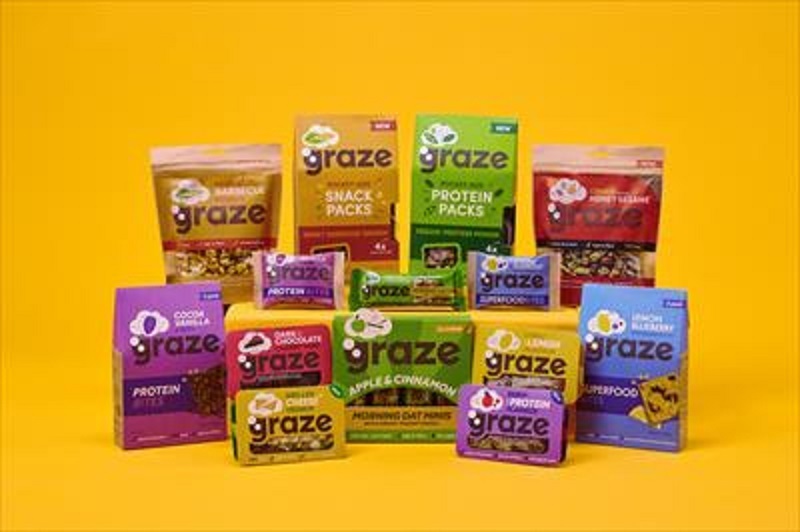 Unilever’s Food & Refreshment business president Nitin Paranjpe said: “Graze is the leading healthy snacking brand in the UK, delivering consumers fabulously tasty snacking options, delivered in beautiful packaging. “A truly multichannel brand, Graze offers personalisation, convenience and great nutrition, brilliantly meeting the needs of millennial consumers. Accelerating our presence in healthy foods and out-of-home this is an excellent strategic fit for the Unilever Food & Refreshment business and a wonderful addition to our stable of purpose-driven brands. The broad portfolio of healthy snack products offered by Graze is expected to strengthen Unilever’s presence in the healthy snacking and out-of-home markets. Graze CEO Anthony Fletcher said: “This deal marks a transformational moment in Graze’s growth journey. Graze believes that learning from Unilever’s sustainable living plan will become a key driver for the business. Last December, Unilever expanded its portfolio with the acquisition of The Vegetarian Butcher to meet the growing demand among consumers for vegetarian and vegan meals. The acquisition was in line with Unilever’s strategy to add plant-based foods into its portfolio that are healthier and have a lower environmental impact.